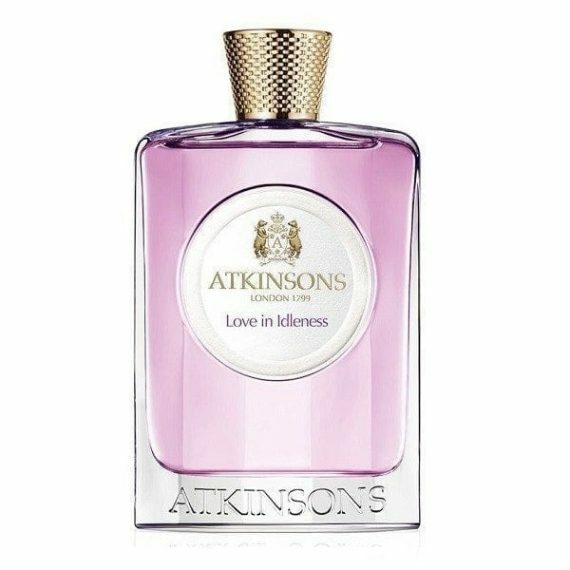 Atkinsons reinterpretation of Shakespeares sensual love potion. This spellbinding elixir exudes powdery violet perfection. As gorgeous as a midsummer nights dream, Love in Idleness is the fragrance of love at first sight a perfumed tryst between an intensely feminine orris-violet accord and a seductive woody chypre dry down. A neo-Victorian love philter for those who believe in the magic of fragrance. Notes include raspberry and violet leaves in the top with violet flower, orris and heliotrope in the heart. Woody base notes include tree moss and patchouli. Available in one 100ml Eau de Toilette size only this beautifully feminine fragrance provides medium projection with moderate longevity. The smell of love!! This is romance in a bottle. A sweet, powdery violet which dries down to more earthy accord. A very pretty and easy to wear fragrance.